I started playing World of Tanks as part of the free stuff that came with my Nvidia video card. My Logitech G13 did not have a default profile for the game. 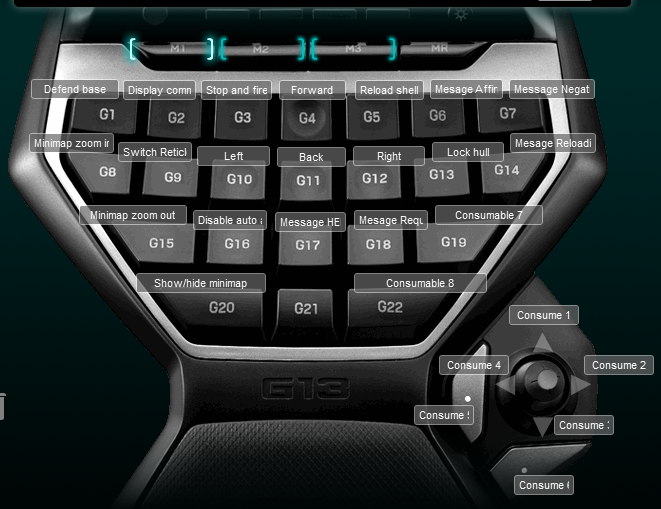 I put together a World of Tanks Logitech G13 profile. Below is a screen show of the keyboard layout.